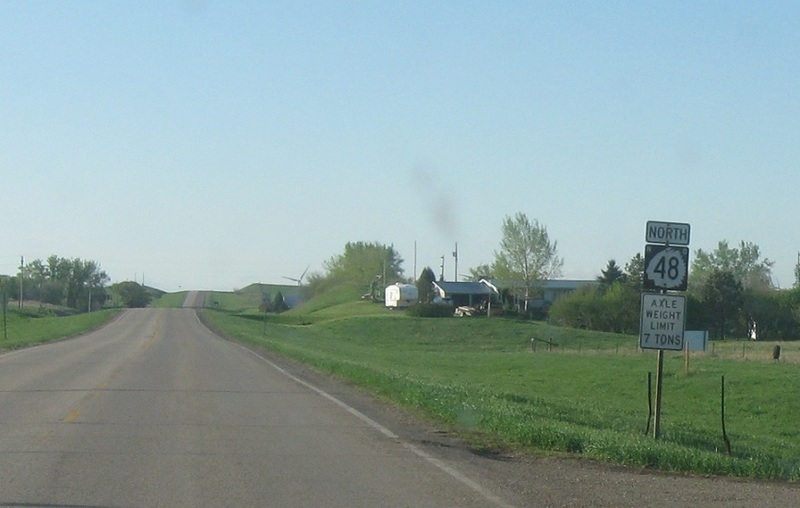 Reassurance shield as ND-48 begins. Reassurance shield as we head out of Center. A few miles later, we’ll approach Alternate 200. This segment of ND-48 will end. 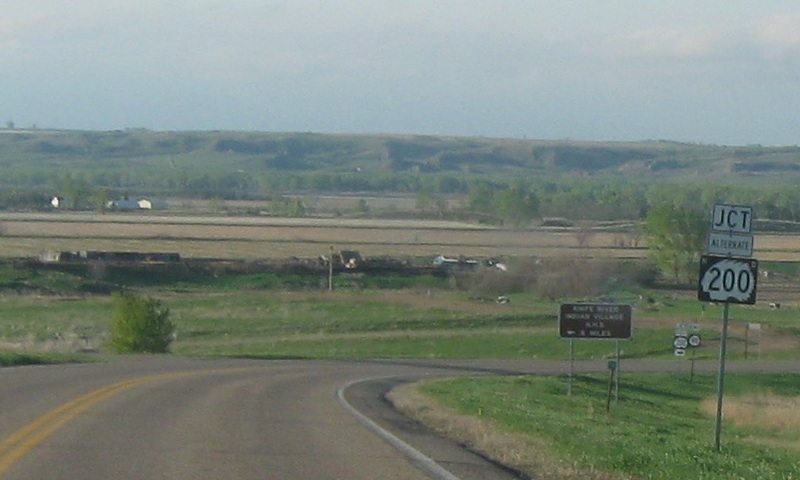 Another short segment exists north of Washburn. 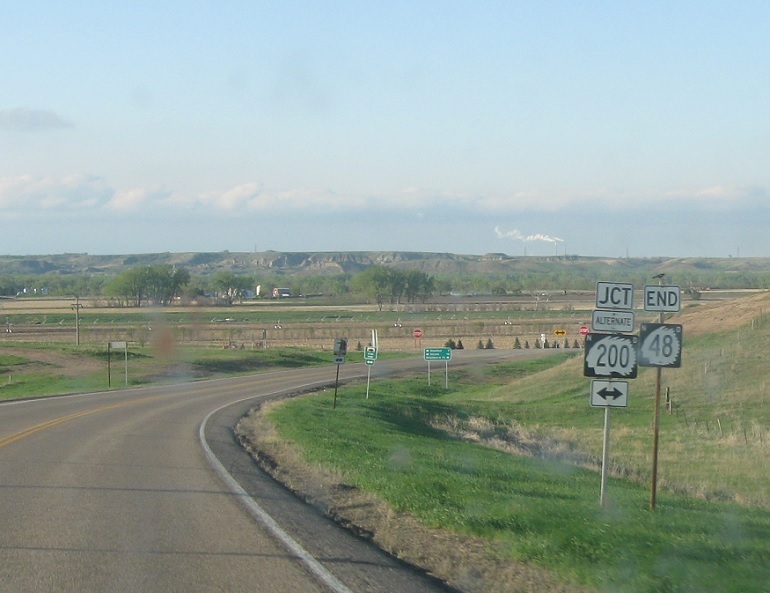 Turn right for 200 Alt east and left for 200 Alt west. 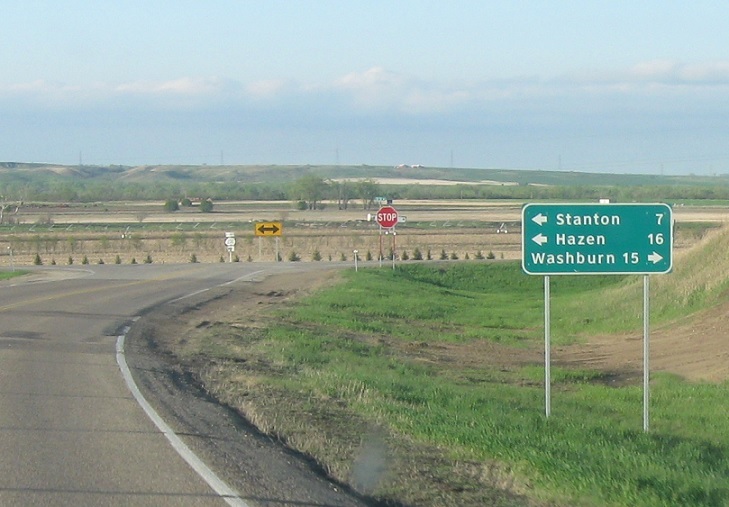 Follow 200 Alt east to Washburn and west to Stanton and Hazen. 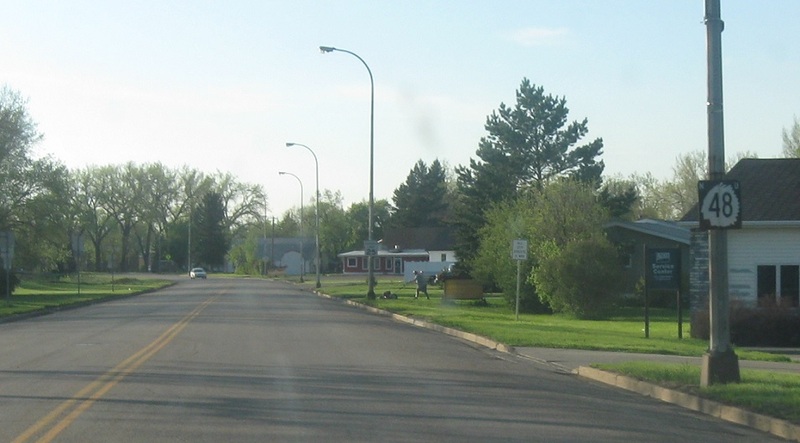 We’ll quickly enter Mercer County at the intersection. 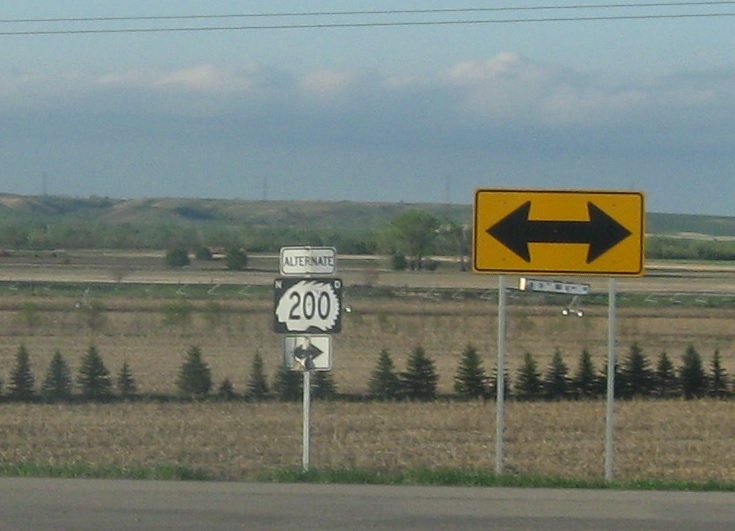 Turn right for 200 Alt east and left for 200 Alt west.